Importing pieces directly from Italy, women’s multi-brand clothing retailer Maska Mode continues its Canadian store expansion with plans for several Canadian locations. Given that it carries brands exclusive to them in North America, Maska is also looking to expand into the United States. The privately-owned, family-run Montreal-based retailer specializes in 'high-end fast fashion' according to a company representative. 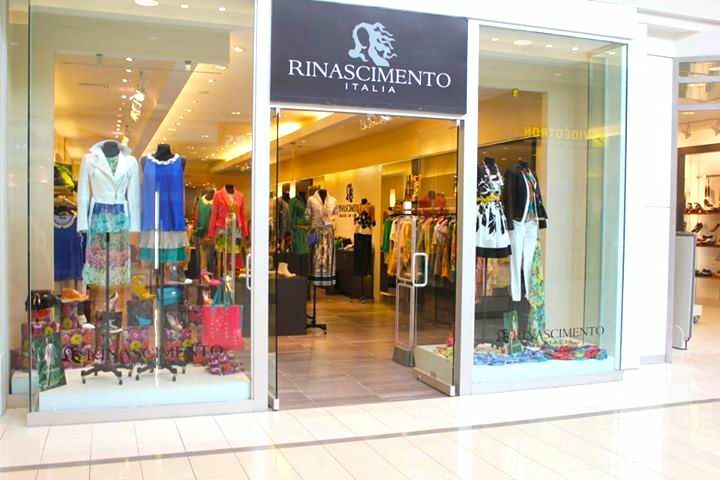 Trends are addressed quickly, and all merchandise is imported from Italy. Its brands include names such as Gil Santucci, Northland, Imperial Fashion, and Rinascimento, and all stores are corporately owned. Imperial, Laval, QC. Photo: Maska Mode. Maska Mode currently operates 21 stores under the Maska, Rinascimento, and Imperial labels. In Quebec, Maska Mode's stores include six Maska stores, five Rinascimento boutiques, and four Imperial locations. In Ontario, the company operates two Maska and two Rinascimento stores - all in the Toronto area. On November 24th, Maska's first Alberta location opened at Calgary's Chinook Centre, measuring about 1,170 square feet. Rinascimento, Champlain QC. Photo: Maska Mode. Maska has just opened two new locations in Vancouver, including a temporary location which opened over the weekend at 2756 Granville Street in Vancouver's tony South Granville shopping district. We say 'temporary' because the store will close at the end of this month for a full-on renovation, prior to re-opening at the end of January, 2015. Maska opened a location last Thursday at Vancouver's Oakridge Centre (1,115 square feet, replacing womenswear retailer Crisca) and in March of 2015, Maska will open a unit at West Vancouver's Park Royal. Maska, Rockland Centre. Photo: Maska Mode. Maska has further Canadian expansion plans, including a new location at the CORE in downtown Calgary. An opening date for that location has yet to be set. Maska is investigating opportunities in other Canadian cities, though a representative wouldn't comment on which cities. Maska seeks retail space in the 1,000 to 2,000 square foot range, both in shopping centres and on upscale 'neighbourhood' shopping streets such as Sherbrooke Street in Westmount, Quebec and on Vancouver's South Granville. Aurora Realty Consultants has been retained to represent Maska Mode across Canada. Maska also has big plans for the United States. Although the search for store space has yet to begin, the company sees possibly operating stores in cities such as Boston, New York City and Chicago. We’ll update you when we learn more on Maska Mode’s expansion plans throughout Canada. Jessica Nguyen is a student at the University of Alberta, as well as a Marketing Intern at the University of Alberta School of Retailing. She's also a classic style enthusiast on Dressing Jessica - an everyday fashion blog for the petite and curvy woman.